“True Blue Lou” was written for the 1929 musical film The Dance of Life, an adaptation of the Broadway play Burlesque. 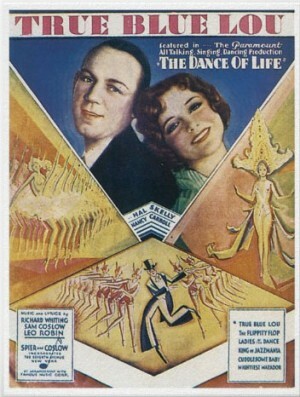 The song was sung in the film by Hal Skelly, in the role of an out-of-work burlesque comedian. “True Blue Lou” was a standard song for Ethel Waters, who sang it throughout her career. In addition to Tony Bennett’s recording, Frank Sinatra also recorded it in the 1950s. “True Blue Lou” was recorded on April 24, 1963 and released in 1963 on the album This Is All I Ask. It was arranged by Ralph Burns.